Since I have a cold, and didn’t feel like standing up to an easel, I decided it was time to give IPad painting a try from my comfy couch. I have tried out other paint programs, but was never completely content. 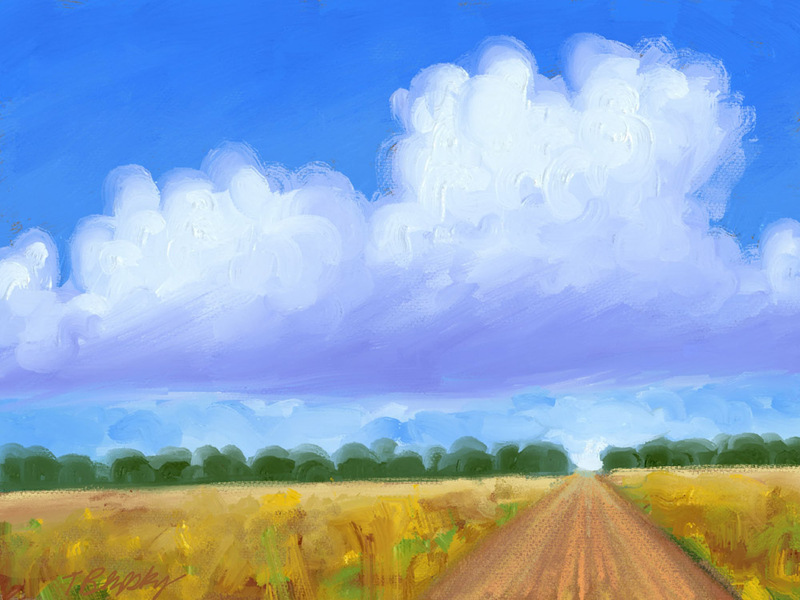 I was inspired by the work of Janette Leeds of http://artandwordsjanetteleeds.com to try “Art Set Pro” on the iPad. 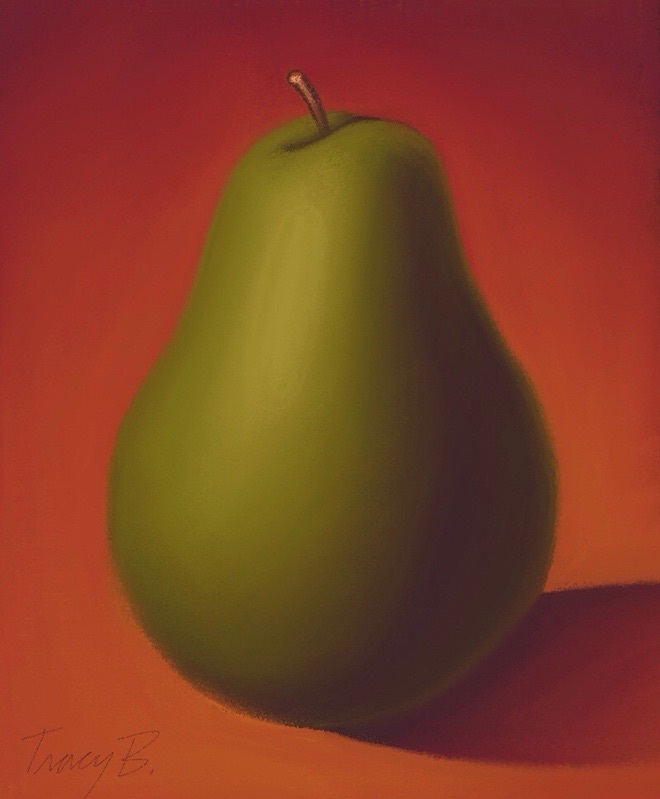 This painting is the same subject as one I did with real paint, except this time I did it from memory. It was the first thing that popped in my head. Clouds are one of my test subjects for new media. I use to make apples. I found it was much like the real painting experience. I can paint somewhat like I do with real paint. 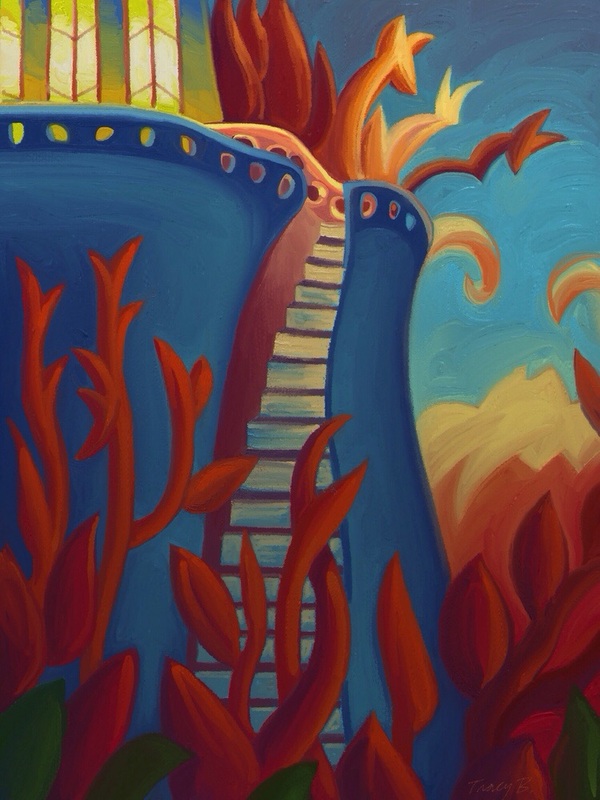 I even picked some of the colors off a photograph of one of my paintings to get just the colors I use. In many cases it’s nice to have the original painting, but I can see a real advantage for illustration, like a picture book. It comes out much better than a scan of a painting. Keeping consistency in colors through many pages would be easier. A print quality at 8×10″ 300 dpi can be achieved. I think I could go a little bigger. There is also the advantage of spontaneous play and doodling, and knowing that you aren’t wasting materials. I could use it like an oil sketch for planning big paintings too. It’s just good fun!